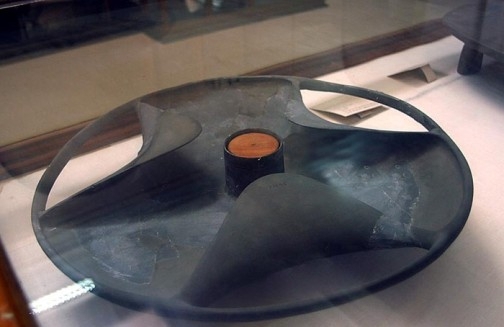 The author has assembled a model of the Sabu disk of the actual size. 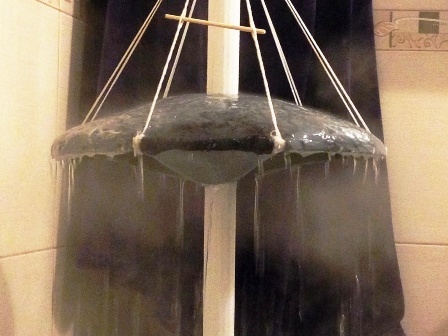 In the experiment the Sabu disk model moves on the axis up and down, whereby the steam is produced from the hot water, quickly, conveniently, and remotely that is necessary to ensure safety. 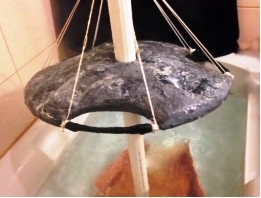 The Pharaoh’s son Sabu and members of his family could use the disc to produce steam, which in turn was used for hygienic purposes and for treatment. See details in the book “Disk of Sabu –Steam Engine”. The figure shows the Sabu disk, the experiment conducted with the disk mode.